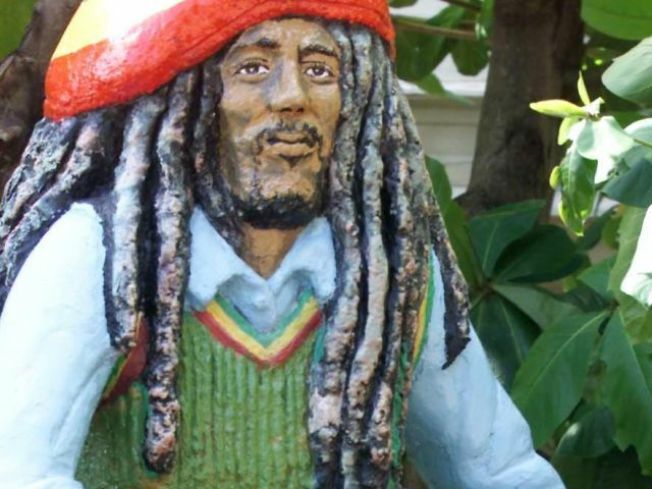 Bob Marley's statue keeps watch over the Marley museum in Jamaica. Get in touch with your inner Bob Marley at this new twist on Caribbean-centric Rum Bar’s monthly Full Moon Party. The rum-soaked Rittenhouse hotspot is hosting a Bob Marley Tribute Friday May 8 at 9 p.m. in honor of the legendary reggae musician featuring Jamaican food and drink specials and a live performance by reggae band Therapy, who will be jammin’ and undoubtedly hope you’ll be jammin’, too. Sample $4 Red Stripes or $5 cocktails named for Marley songs; if you attend the party dressed in “Rasta gear” or “Marley apparel” Rum Bar will knock $1 off every drink, so it might be worth dusting off that dreadlock wig and beads. If all of this isn’t Jamaican you crazy, the 130 brands of rum the bar regularly stocks just might make you totally irie. Which is exactly how we want to be on a Friday night.